It's a thrill to be celebrating Courtney DeFeo on the blog today! She basically ROCKS. To know her is to love her. She oozes the love, compassion, and pure JOY of Jesus. And she inspires me daily. She is my dear dear friend, creator of the amazing ABC Scripture cards that you know I adore, encourager extraordinaire, and author of In This House, We Will Giggle. In This House, We Will Giggle: Making Virtues, Love, and Laughter a Daily Part of Your Family Life offers parents a practical approach to instilling virtues in their children through laughter, rather than lecture. Designed to cover an entire year, each of the 12 chapters highlights one key virtue in developing a child’s character, along with insights to help infuse the virtue into everyday life. In This House, We Will Giggle teaches children to experience the goodness of God, the joy of following Jesus and the difference children can make in the lives of others. Courtney DeFeo has the extraordinary gift of weaving the joy of knowing Jesus into the everyday ways we teach our kids to grow in the likeness of Jesus. Through the grace-filled pages of In This House We Will Giggle, Courtney reminds us that the Christian life ins't about trying harder to be like Jesus, but about keeping our eyes on the person of Jesus and allowing Him to do His good work in our hearts. If you want to raise kids who find joy in letting their light shine for Christ and desire to share His love in this world, In This House We Will Giggle is the book you've been waiting for! It's an honor to have Courtney sharing her heart with us on the blog today! Enjoy! Aren’t we glad there isn’t a scale or a rating system or measuring stick or even an award given for America’s Most Spiritual Mom? We might make one up in our heads, but if you look at the most trusted source on the matter (The Bible) – it’s not there. God is not handing out awards on how hard we work in this area. He’s concerned with how we trust Him with our kids. How we extend and receive grace. Something happens when the fruit of our loins start talking and becoming real humans. Our desire to create “good kids” just gets stronger and stronger. I know for me, it’s partly a selfish a desire because it makes ME look good. I am fine with taking credit for the good things my kids do. However, when my kids act up – I don’t really want to take the credit for them anymore. Definitely a show they watched or something they picked up at school! My other desire for “good kids” is a little less selfish. I want to save them from heartache in the world. I’d rather them avoid struggle or pain or regrets. So it seems like if I can muscle my way through making them good, then that makes me a great mom. Does anyone relate to this constant struggle? God has been working in my heart since I had my girls. He’s also been slowly peeling my fingers off of them – and my grip of control. My control grip of expectations, of results, of behavior, of my performance, of their performance. He keeps reminding me that I often make it complicated. When I was writing my book this past year, I learned so much from Him in the process. It was worth the entire thing just for what my family gained. He whacked me upside the head with this big truth. Our kids want to experience WHO WE KNOW, more than they want to hear WHAT WE KNOW. It’s in our nature to teach, share, tell – all that we have learned. As I look back to the best things I learned in my home, it was the experiences I had with my parents. When they invited me into loving, giving and serving. As I think back to my favorite times as a parent, it’s the experiences. When my girls were going on adventures with me and they were experiencing the joy of following Christ. It was less about the lecture and more about the fun. It was natural and not forced. Today, I would love to break a few shackles off your heart and lighten up that home. You are more capable than you know - you are loved by one good God. Let’s invite our kids to the party. It’s a good one. He loves them more than you can imagine and his track record is pretty amazing. 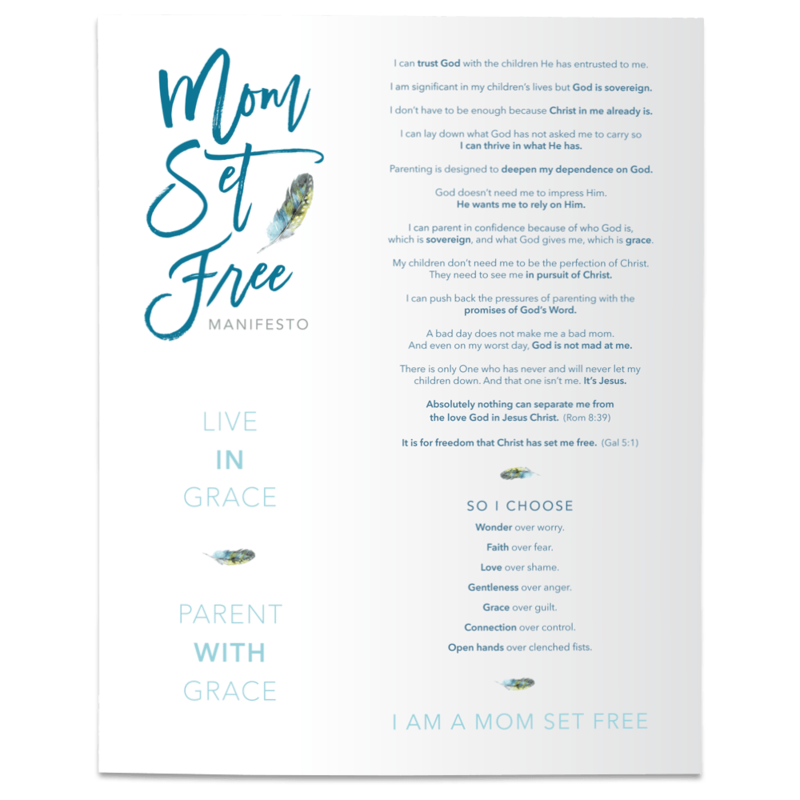 Don’t compare yourself to other moms – because there will be no award for Most Spiritual Mom in America. Let’s work together to disciple our kids. Let’s work together to make Him real to the families all around us. And don’t forget to GIGGLE! Honored to be in this journey with you. PS- Watch the VIDEO here! In This House, We Will Giggle by Courtney DeFeo from waterbrook multnomah on Vimeo.